Take your AVCHD movies and burn them to a high-definition DVD that will play on almost all Blu-ray players. RevolverHD can take AVCHD movies and create high definition AVCHD DVDs. AVCHD DVDs can be played on almost all Blu-ray players. We have tested these DVDs on Sony, Panasonic and Samsung Blu-ray players as well as the PlayStation3. The Blu-ray Consortium has recently released a new disk specification called AVCREC. AVCREC is similar to AVCHD and is used to create high definition DVDs. New Blu-ray players are beginning to support AVCREC and soon all new Blu-ray players will support the format. RevolverHD supports the creation of these AVCREC DVDs. 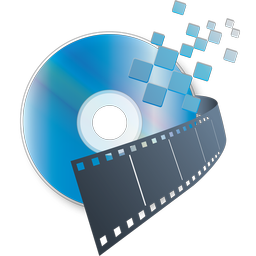 Take your AVCHD movies and archive them to file. These archives can be imported directly to iMovie or Final Cut whenever you like. RevolverHD can take any AVCHD movies and create an AVCHD Camera Archive. This archive will be recognised by iMovie and Final Cut as a camera, allowing you to import these movies when required. NOTE: AVCHD Camera archive importing requires an Intel Mac and iMovie08 or greater, Final Cut Express 4 or greater, or Final Cut Pro 6 or greater. Prepare and export your HD movies ready for playback on a HDTV. Most new High Definition TVs can play back AVCHD video without conversion. RevolverHD can create Exports for playback on most HDTVs, including Sony, Panasonic, Samsung and more. Revolver includes a convenient and easy to use workflow that creates your TV Export on an external USB stick of your choice, ready to plug and play on your TV. Preview and Edit your 3D video then Export for playback on your 3D TV. RevolverHD supports the creation of TV Exports from the Panasonic 3D video camera (HDC-SDT750). This means that you can plug in your 3D camera, drop the video clips into RevolverHD and create a TV Export specifically configured for 3D playback. Revolver's built-in preview and editing features have been upgraded to support 3D viewing. Panasonic records 3D video in a 'side by side' format meaning that two video streams are recorded into the usual 1920x1080 frame. RevolverHD detects this and only displays the left eye view, so that you can edit the footage easily.